Mount Prospect, Ill., is a quiet Chicago suburb with a population of just over 56,000. It is a tight-knit town where over the past eight years Prospect High School's football team won three state championships, its Marching Knights picked up their 26th straight grand champion title at the annual state marching band festival, and just last month the school itself ranked 12th among all state high schools. Now the town is also the winner of Businessweek 's second annual roundup of the Best Places in America to Raise Kids. Founded by German immigrants and incorporated in 1917, Mount Prospect hasn't strayed far from its values of fiscal conservatism and community involvement, even as it has expanded to include new immigrants from Poland, Mexico, Korea, and India. It is a middle-class community with low crime, affordable homes, award-winning schools, ethnic restaurants, a major regional mall, and a small-town charm that makes the big city less than an hour away seem much farther away. You won't find palatial estates here—let alone McMansions. People generally live in modest homes with short driveways that touch the yards next door. And residents here have been known to share power generators after storms and take turns cooking meals for sick friends and acquaintances. "I knew one girl who had back surgery," said Jean Murphy, a correspondent for the Daily Herald , suburban Chicago's largest daily newspaper. Murphy, who has covered Mount Prospect since 1983, said: "She had six weeks where she didn't have to cook. That's the kind of town it is." BusinessWeek teamed up with OnBoard Informatics, a Manhattan-based provider of real estate analysis, to come up with our list of each state's best affordable towns for raising children. 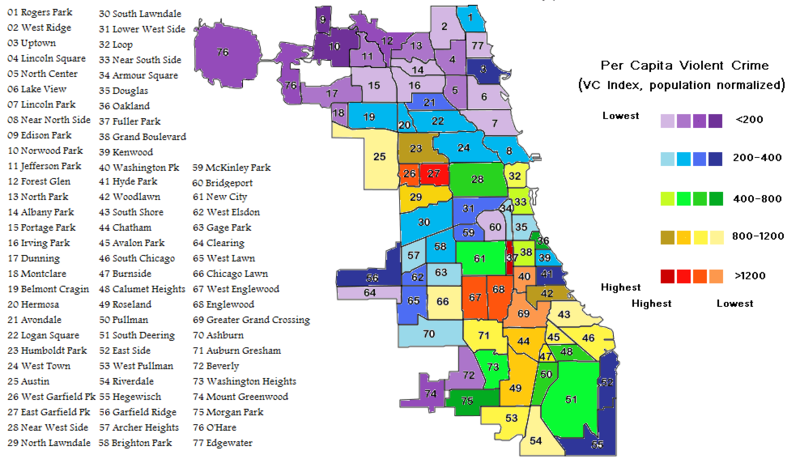 Mount Prospect just squeezed out several other Cook County (Ill.) communities, many of which also ranked high. The most important factors in our analysis were school performance, affordability, and safety. But we also gave weight to cost of living, air quality, job growth, racial diversity, and local parks, ball fields, zoos, recreation centers, museums, and theaters. We knocked out towns with populations of fewer than 50,000 and median household incomes of less than $40,000 or more than $100,000. And we ended up with a list that included some well-known places such as Phoenix, Columbus, Ohio, and Ann Arbor, Mich. But we also found some hidden gems such as Euless, Tex., smack in between Dallas and Fort Worth, which according to Sports Illustrated has the nation's top-ranked high school football team, and Murfreesboro, Tenn., a college town outside Nashville. It wasn't a perfect list. Our population threshold of 50,000 people limited our options in less-populous states such as Delaware, Vermont, and West Virginia. But our criteria helped us find ethnically and culturally diverse places with the kind of amenities that are more often found in population centers. "We have 19 parks and have one park for all ball fields so mothers don't have to scramble from one park to another with their children," said Mary Lib Saleh, who has been mayor of Euless for 15 years. "We are a city of 54,000 and have almost 100 floats in the Christmas parade—as many as Fort Worth or Dallas. We just have a community, and people really love Euless." Murfreesboro, home to Middle Tennessee State University, the largest undergraduate university in the state, hosts a jazz and a folk music festival in the summer and most major high school sports championships. It has expansive sports fields, including a new $13 million soccer complex. The economic downturn has started to hurt Murfreesboro as it has other parts of the country. But college towns tend to ride out recessions better than most places because education is somewhat recession-proof. "We have a small town feel with big city amenities right here in our community being a city of 100,000 people," said Rob Lyons, deputy city manager for Murfreesboro. "And Nashville being a half hour drive away opens up other recreational, cultural opportunities, and professional sports." Mount Prospect, like many of our selections, is a village where children study hard but also pack their afternoons, evenings, and weekends with sports, music, and other extracurricular activities. Prospect High School Principal Kurt Laakso said the area's schools regularly outperform more affluent districts largely because of a tradition of parental involvement and dedication on the part of teachers and administrators who are well paid, but not outrageously so. "We have a good balance of academic rigor and the social aspect that makes high school memorable," said Jason Block, an English teacher at the high school who also serves as faculty adviser for the student newspaper. "They are at an elite high school here. And it's preparing them really well for next step. At the same time, it's not out of whack here, where it's all academic all the time. Prospect High School is not a stress factory." But Mount Prospect isn't just some quaint throwback. It is changing quickly. Recent immigrants are opening stores and restaurants, including a regionally known Flamingo's Fine Mexican Seafood. The city has worked hard to revitalize its downtown, bringing in condos, new stores, and restaurants such as the Blues Bar, a "Blues Brothers"-themed bar that features live entertainment and a replica of the "bluesmobile" featured in the 1980 cult movie. (Dan Aykroyd's character, Elwood Blues, famously says of the police car: "I picked it up at the Mount Prospect City Police auction last spring.") The million-square-foot Randhurst Mall, the first in the Chicago area when it was built in 1962, is being remade into an outdoor lifestyle mall. But the village's biggest pluses remain unchanged, including it's proximity to Chicago and the airport, its employment opportunities related to the airport and a large corporate park, and its "street reputation" as a family-friendly community, said Tom Zander, who with his wife Mary co-owns Picket Fence Realty in downtown Mount Prospect. Longtime Village Manager Michael Janonis said the town has not yet been hit hard by the economic crisis, largely because it has had few foreclosures and isn't depending too heavily on a single source of tax revenue. "We're not flashy," Janonis said. "It's not like other places that [have] huge increases in property values and huge crashes. We're very steady." Click here to read more about Mount Prospect and the other best places in the U.S. to raise kids. Gopal writes about real estate for BusinessWeek.com in New York.